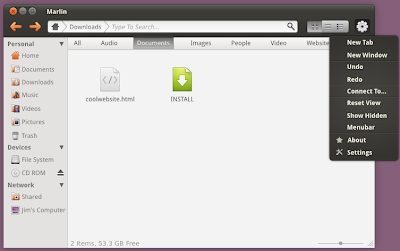 Installing Nautilus Elementary is among the first thing I did after installing Ubuntu 10.10 Maverick Meerkat. If you have used it once, you simply can't go back to the default Nautilus installation. Following design ideas when implemented will make Nautilus Elementary an ever more important part of Gnome and Ubuntu, at least from a user point of view. Think I don't need to explain anything at all. Dan Rabbit has beautifully illustrated his design ideas through the mockups and the text within each of the image above. Nautilus Elementary developer in his blog has made it clear that, they have started working on implementing Dan Rabbit's ideas for the next Nautilus Elementary upgrade.